Sinks are plumbing appliances that are used on a daily basis and are essential in the kitchen and bathroom. 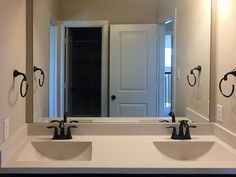 Bathroom sinks are most often used for brushing teeth and washing the face and hands. The look of cabinetry can be easily updated with a change in hardware like cabinet knobs and drawer pulls. These cabinet knob styles can be used in the kitchen or bathroom for an attractive upgrade. Visit Pinterest for more bathroom images.